For a long time (more than two years), rumors about HTC's first smartwatch based on Android Wear have been circulating on the internet more or less persistently. 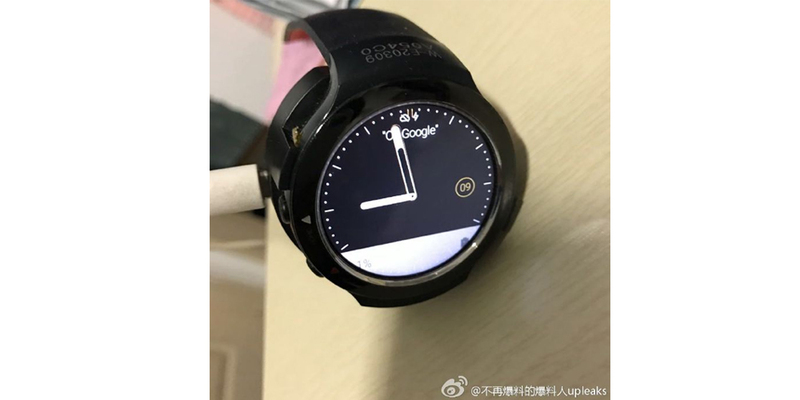 In recent weeks, new online images of this supposedly smartwatch have appeared (later than those published in October 2016). It is likely to be a prototype that will never see the light. An executive of the Taiwanese company said that no smartwatch was planned in the near future. This smartwatch, or prototype of one, was known with the codename Halfbeak, but everything else will end up being forgotten, apparently. In the image, you could see the logo of Under Armor and HTC on the back, the connector to charge the battery and the sensor for the measurement of the heart rate. The plastic frame and rubber strap suggested that the device was designed for outdoor activities. Since Google has postponed the debut of Android Wear 2.0 to February, and given the limited success of the models already on sale, HTC has probably decided not to waste the time and money on this project. Chialin Chang, president of the Smartphones and Connected Device division, said other wearable devices of this kind will not be released in the short term as the world's top manufacturers, such as Apple, have experienced a drop in sales in recent months. In fact, most users prefer to buy cheaper smartwatches, such as followers of the fitness tracker, as they also offer greater battery life. HTC has recently introduced two new smartphones, the U Ultra and U Play. The president also confirmed that the next top of the range (perhaps the HTC 11) with processor Snapdragon 835 will be released in the coming months. There are many possibilities that the smartphone include Google Assistant, so far exclusive of the two smartphones Pixel.